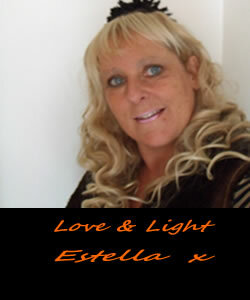 I am a full time Professional Psychic and Clairvoyant and offer my natural gifts to you in the way of in-depth Psychic Readings & Psychic Guidance by Email, UK Live one to one Telephone, Global Skype and SMS Text. I have been honoured and blessed with a natural sixth sense of communication between us here universally and the spirit world, whereby I have my own Spirit Guides to help me interpret your readings with accuracy and honesty and also through the use of my beautiful and very divine tarot cards which I have been professionally using for many moons. Please browse my website where you will find I offer a range of services that vary in price and I have created them all so that no matter what your need or your financial situation is, there is an option that will be suitable for you. I believe that the most important factors to consider when having a psychic reading is to have an open mind, use your own judgement and make appropriate decisions which are important to you and to cover any issues you feel need to be covered. I will always be at hand to give my honest guidance even if it is perhaps something you do not wish to hear but know in your heart it is for the best so on that basis always be prepared to hear the truth. Positivity is the key factor in any reading and I believe people are automatically drawn to a reader that they have a connection with.